Hanlon Engineering (“HE”) provided drilling coordination, testing coordination, resource estimate services, hydro geochemical evaluation, and engineering services for a Uranium in-situ recovery process permit in South Texas. The support included the design of a recovery well field including approximately 75 wells, and a 1500 GPM uranium satellite facility. The well field included run-off diversion, channel crossings, power distribution and pipeline layout that included multiple well field zones. The satellite IX process facility included ion exchange and reverse osmosis processes. 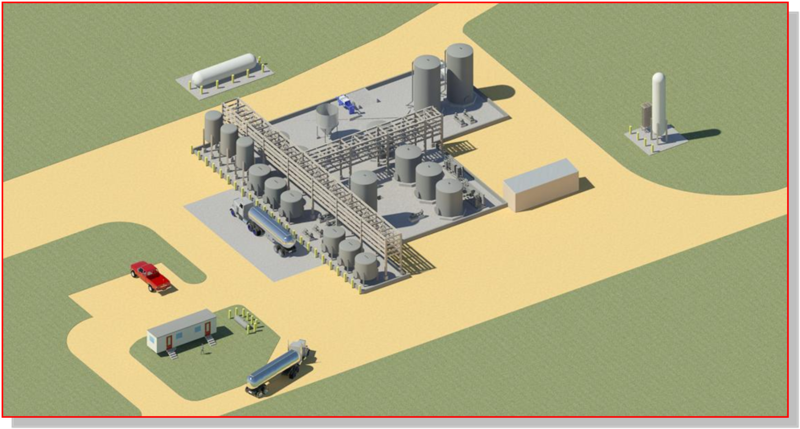 The permit process included engineering design for two deep injection wells. HE worked with the Texas Department of Environmental Quality and several other organizations to achieve the deadlines on this multifaceted mining and processing project.